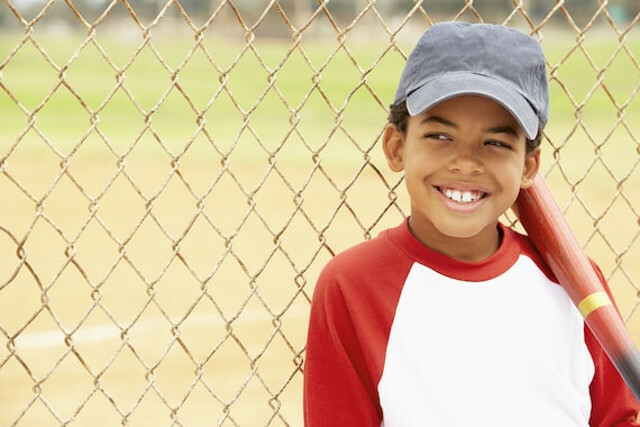 How to keep your favorite baseball cap in tip-top shape. Baseball caps have been around for a long time–150 years in fact!–when a Brooklyn baseball team donned them in 1860. Since then, fashion has never been the same. Today, everyone from serious athletes to soccer moms shade their eyes under those lids. While designer caps can sell for several hundred dollars, most baseball hats will set you back a couple of twenties. No matter the investment, you are going to want to care for that cap. A good place to start is with the manufacturer’s website. Many offer detailed guides on materials and proper care. Some will even offer cleaning products for purchase. Another important step is to check for a materials label. Caps can be made of durable and washable materials such as cotton and synthetics, while other caps made of wool or leather and will need special care. Knowing the materials will help you know how to care for the cap. Most caps are made of these materials. While cotton and synthetic materials will likely stand up to gentle washing it is important to consider a few things. First, some dyed fabrics may run when immersed in water ruining the saturation of the color as well as possibly bleeding the color onto the embroidery. Test a small inconspicuous spot for color fastness using a gentle detergent. If the color does not run or rub off, then it may be safe for hand washing. Before you do that, consider the cap’s bill or brim. Some have cardboard liners and will not stand up to full immersion, in that case, it will need to be gently spot cleaned. Most often the core is made of plastic that can withstand washing. Hand wash using a gentle detergent in cold water. Some swear by the powerful cleaning of liquid dishwasher detergent, with its ability to cut grease stains on dishes as well as sweaty visors. But we recommend using a gentle, color-safe detergent, rinsing the cap thoroughly and letting the cap air dry. Speaking of dish cleaning, some may suggest cleaning your cap in the dishwasher. While this may result in a cleaner cap, we do not recommend subjecting your caps to the intense spray or heat of your dishwasher. Some caps are made of materials that are specially treated to resist odors and wick sweat. Certain products on the market, such as fabric softeners or heavily scented cleaners, actually harm these materials and reduce their effectiveness. Try gentle or “sports” rated detergents and follow manufacturer’s directions. These items require special care. Work with your local dry cleaner on ways to remove stains or freshen the material without damaging it. Wool can shrink in the wash and will have better results with dry cleaning. Do not immerse these materials in water as you may permanently damage them. For routine care, lightly brush or vacuum your cap to remove surface dirt and never store your cap if it is wet or sweaty–let it gently air dry first. Now put that clean cap to use watching Big Papi knock it out of the park!